much, but hopefully tomorrow I will. I'll be back again with more photos. So cute, Cheryl. 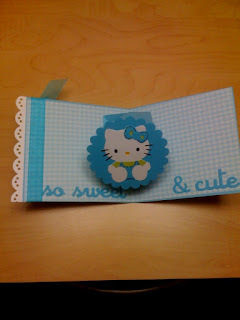 Does this mean Sizzix is making smaller Hello Kitty dies? Love this one Cheryl! Hope you had a wonderful time there! Cute cute cute... where does it end? I'm glad I got to see it IRL... it really is a nice card.